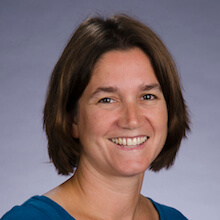 (Portland, Ore.) –The Oregon Bioscience Association’s Board of Directors announced today the selection of its new Executive Director, Liisa Bozinovic, who will assume leadership of the trade/industry association on April 11, 2019. Bozinovic joins the Oregon Bioscience Association in its 30th year, having matured a lively and dynamic life science and biotech environment. Oregon Bio’s soon-to-be-updated economic impact survey will follow on its 2016 jobs report that showed notable gains in employment and the number of firms; an increase in investor engagement; and the 74 percent success rate in job placements for successful graduates of the public/private BioCatalyst program. These grads earn an average of $87,780, twice the Oregon average annual wage. The Oregon Bioscience Association advocates for its members and the industry to create opportunity through advocacy, cultivation and education. Oregon Bio promotes the growth and quality of the bioscience industry in Oregon and continually seeks ways to support sustainability and growth in the life science, bioscience, biotechnology and device manufacturing industries and to create acceleration initiatives so members can achieve their full scientific, economic and social potential. Oregon Bio, a nonprofit membership association, is both the Oregon affiliate of BIO (Biotechnology Innovation Organization), and AdvaMed (Advanced Medical Technology Association).